The New Bar at Rincon Beach Club! Book your next event at the Rincon Beach Club and enjoy a cool libation! 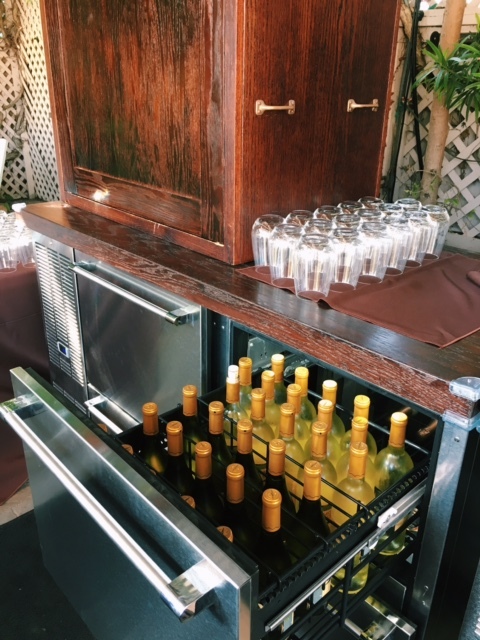 Grab a cold glass of wine as our bartender pulls a bottle from the chilled wine drawer or a chilled glass to pour a beer from the cooling cabnit. A hot summer afternoon calls for a cold cocktail and our new bar back and refrigeration is set to the perfect temperature to please every time. A beautiful dark wood stain has our bar back complimenting our gorgeous wood bar.